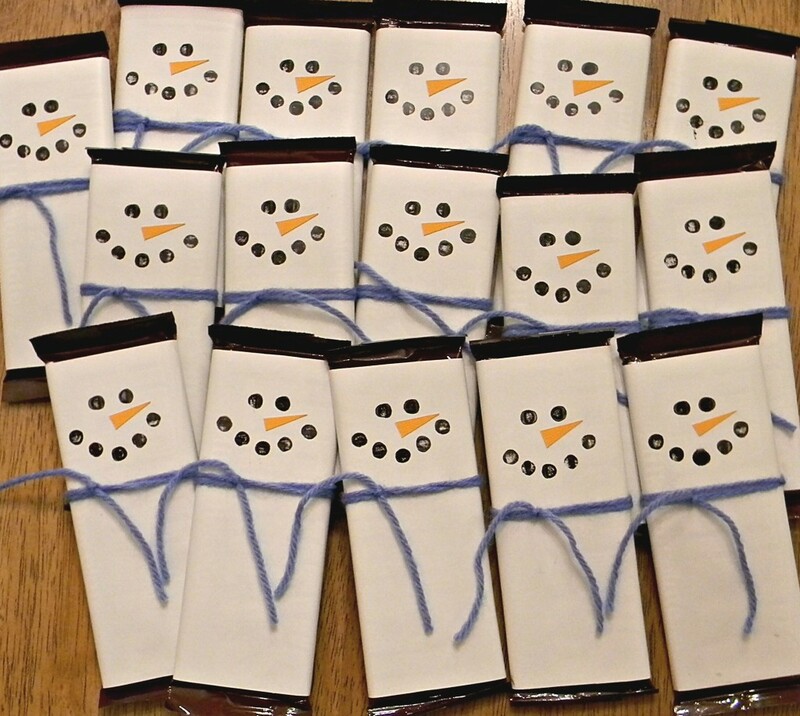 If you need a gift for classmates, kid’s friends, or little neighbors these Snowman Candy Bar Wrappers are a perfect little gift. 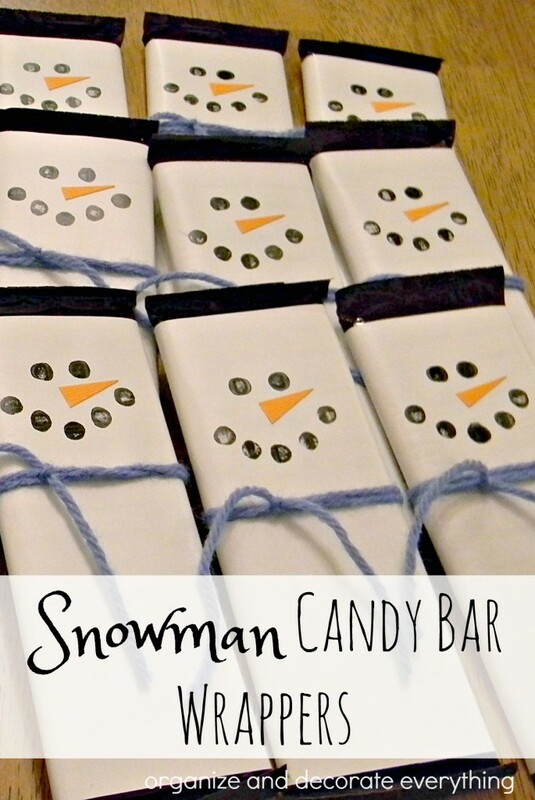 They’re so quick and easy to make that they would be fun to make at a classroom holiday party too. 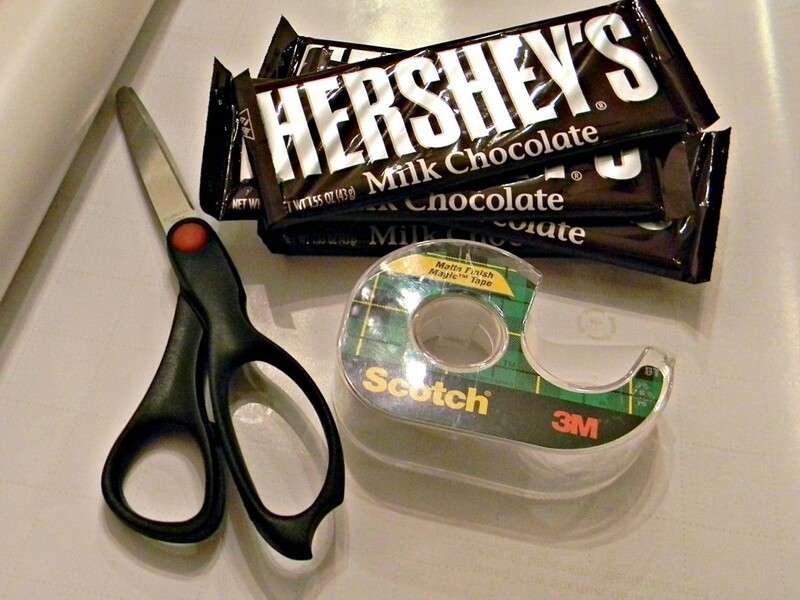 You only need a few supplies and you can get started. Start with a regular size candy bar. 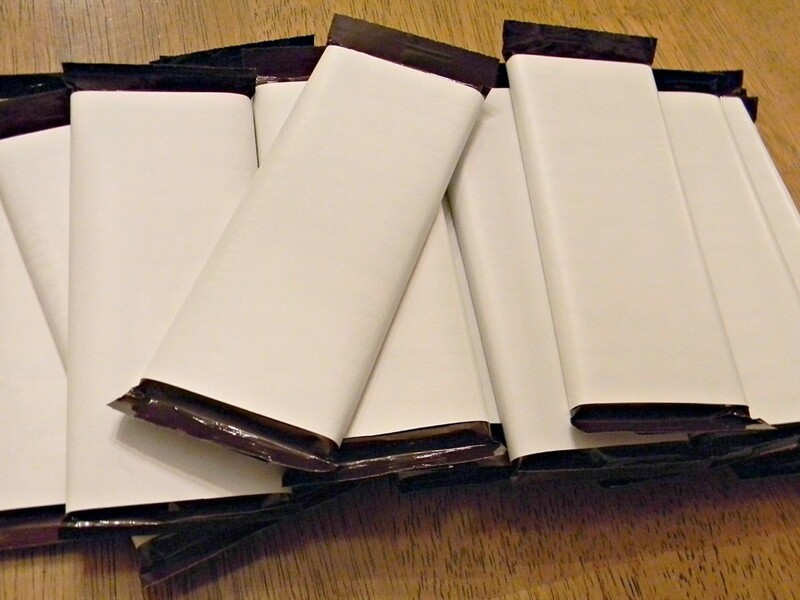 Use the candy bar as a guide to cut the white wrapping paper making sure there’s enough to over lap about 1/2″ in the back. I love this paper because there’s a cutting guide on the back making it so much easier to cut straight. 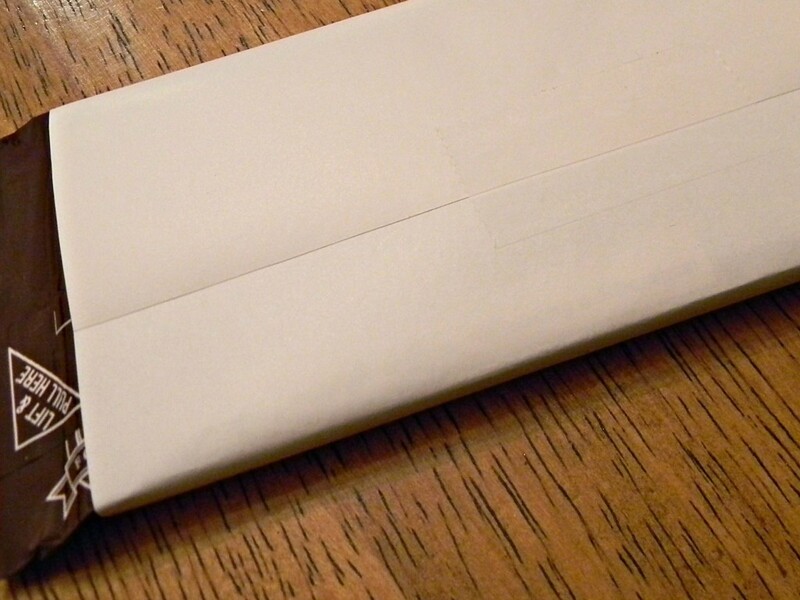 You only need a piece or two of tape to hold it in place. 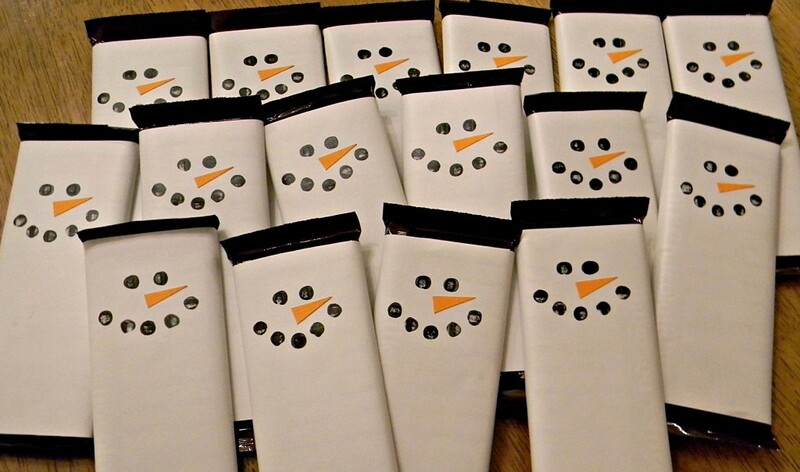 Once you have them wrapped they’re ready for their snowman faces. I used a pencil eraser on a black stamp pad to make the eyes and mouth. You could use black craft paint also. Try it both ways and see which face you like better. I cut the carrot noses out of orange card stock paper and attached them with a glue stick. Oh, such cute little noses. Tie blue yarn around the candy bar a few times and tie into place for a little scarf. You could also use ribbon or fabric for the scarf. I just used what I had available. You could choose different ribbon and fabrics for girls and boys. 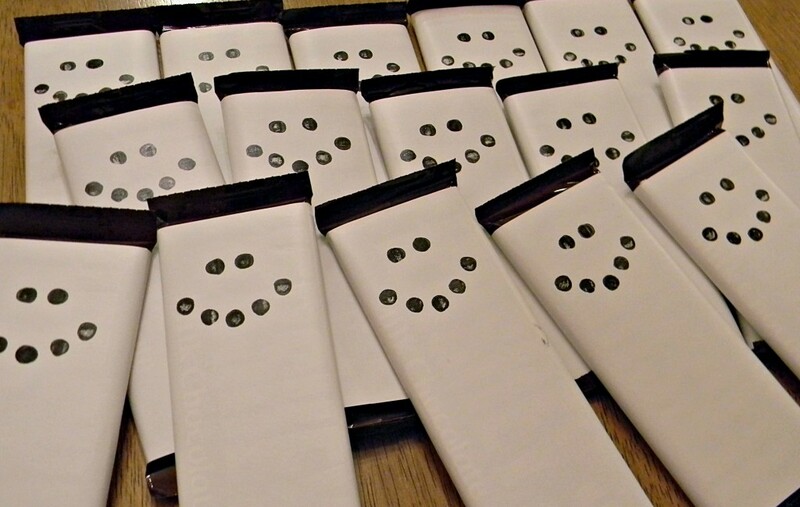 Now they’re ready to hand out to little friends. 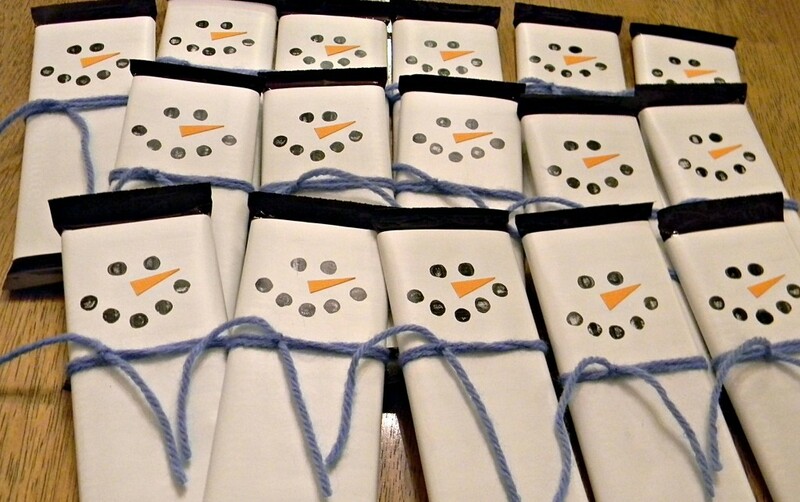 These snowmen are so easy your kids could easily help make them. Super cute, simple and inexpensive. My favorite kind of gifts to give and receive! Hoe cute! What a great idea!!!! Love this ides. So simple and cute. 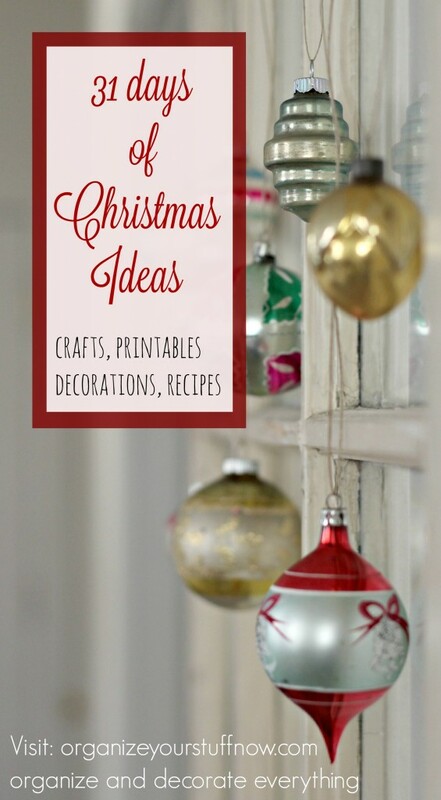 We will be featuring you on our blog ziggycrafts.blogspot.com Thanks for sharing! Ohhh LOL!! This is the BEST. I so wish I would have seen this earlier. 🙁 It is just too cute. I just have to say, cute!! I’ve added a pair of socks stretched over the head and tied a ribbon on it to make it a hat. A little more expense but nice.